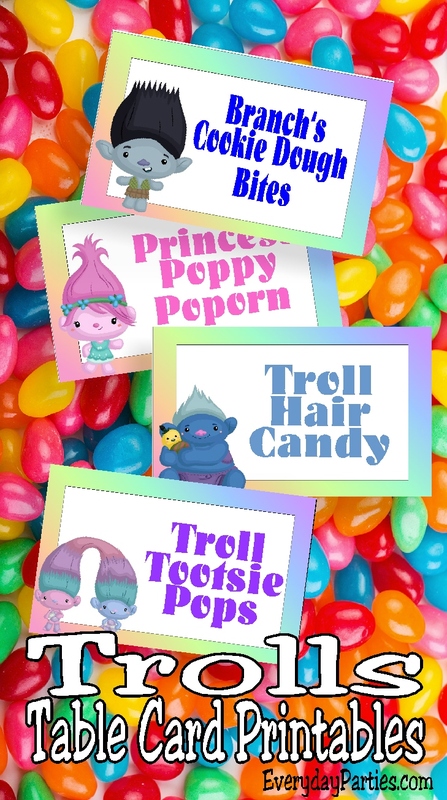 Throw a fun Trolls birthday party with these free printable Trolls table cards. You'll get six different troll characters in tent shaped tables cards that are perfect for indoor or outdoor parties. I finally was able to watch the Trolls Movie the other day. I don't have little ones or girls at home anymore, so watching these types of movies is not something that's easy. But being home on vacation, I have little nieces and was able to see Princess Poppy and Branch sing along and save the day. I am so glad that the movie "powers that be" have started making kids movies enjoyable for both adults and kids. I'm sure it makes watching the movie the hundredth time in one day, just a little bit easier. Now that I've been able to see and enjoy the Trolls movie, I am in love with all the fun music and ways that the Trolls throw a party. I know I'm going to have to find a reason to throw a Trolls worthy party too. 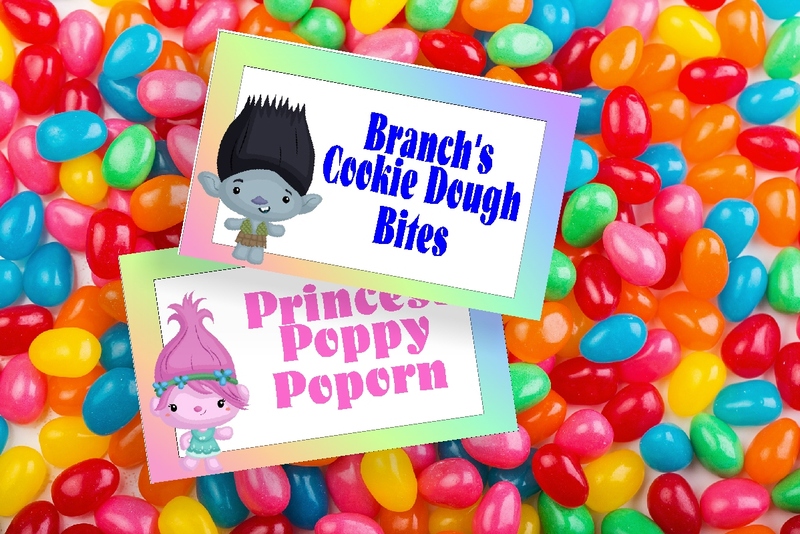 So of course, I needed to create a few Trolls party printables for our 30 days of Free Printables. Today I'm sharing these Trolls Table card printables. The table cards have 3 sets of two cards that can be printed, cut, and folded into tent shaped cards. 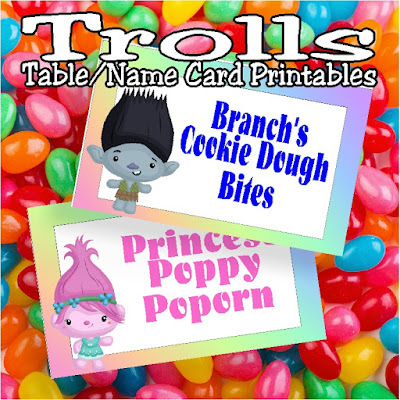 Just visit my Dropbox account here and download the zip file for all 6 of the Trolls Table card printables. Once you have them, you will need to unzip the file, or you won't be able to do anything other than preview the cards. Be on the lookout for other Trolls party ideas and printables soon. I can't help singing along with Princess Poppy as loud as possible!